There’s no shortage of buzz on the web about time travelers, but the following story is a world away from the Charlie Chaplain time traveler alleged to have a cell phone. It deals with a very real investigation that police are having trouble explaining away in the United Kingdom. Among those elements said to be unexplainable is the fact that two of the occupants reportedly involved in a several car pileup on the M6 highway were reportedly teleported from their vehicles in time to avoid certain death. It may sound incredible, and it certainly doesn’t get any less so as the story goes on. As it seems, the allegations coming out from two press releases first in January of this year and then again just today suggest that investigators are still trying to piece together the incident that took place in January of this year. According to the press release, CCTV footage of the crash involving twelve vehicles allegedly shows several of the vehicles piling up, but two of those involved appeared nearby unharmed while their vehicles were total losses. The release further goes on to state that the footage involved saw a sudden anomalous blip on the CCTV film that appeared to be some sort of light streaking across the bottom. Though the incident was allegedly captured on film, there was no way for viewers to know conclusively what was going on based on what they saw. The press releases then both pointed to a blog known as 1 of 26 on the site blogspot. 1 of 26 upon first review seems to chronicle in diary format the goings on of a time traveler going by the name of Mark Collins. Blog posts about Collins follow the epic story of a time traveler through a world reminiscent of nothing short of a science fiction adventure. But then does this mean the M6 story is a brilliant scheme to integrate a fictional blog into the real world? Is it unrelated? Or is there something more to this? The idea of time travel dealt with in Collins’ blog upon initial inspection seems to be fairly interesting. He suggests each trek back in time would create an alternate timeline in keeping with the multiverse theory proposed by quantum physicists like Michio Kaku. The multiverse theory suggests that every subatomic action has two possible outcomes, each playing out in their respective timelines which blossom forth from them. And an action such as time travel blossoms several different universes when time travel occurs. But there’s a narrative aspect to the blog itself that seems to suggest fiction. Is this one of the most unexplainable stories of 2010? Or is there something else going on with Collins’ story? While details are sketchy on the investigation, there’s little doubt that this mystery deserves a second look both in the blog and in the initial incident reported by press release in January of this year. For the moment, however, the mystery is unraveling very slowly. 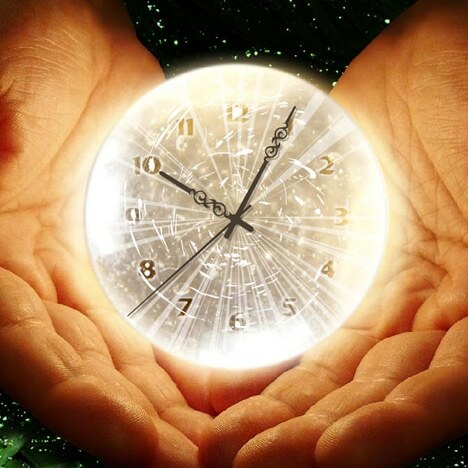 As the concept of time travel has always been intimately linked to the paranormal and this story seems to dabble a bit in every aspect of it, there’s no way of telling just how deep the rabbit hole will go on this one.